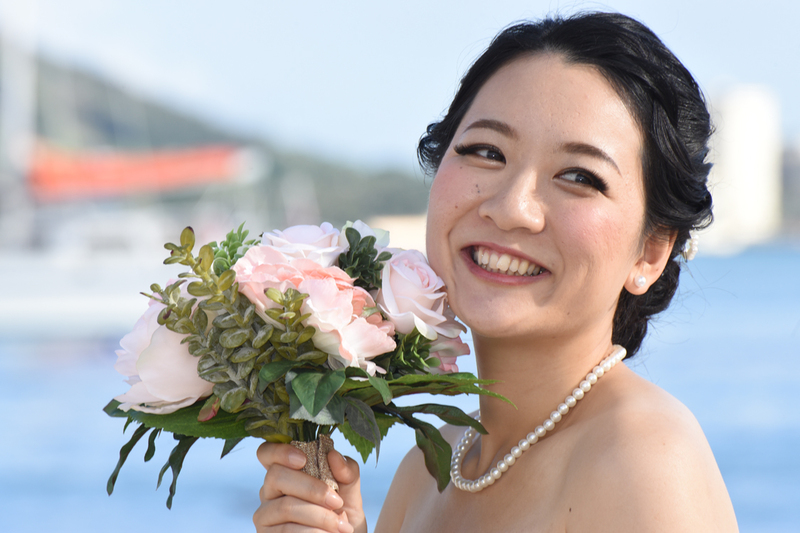 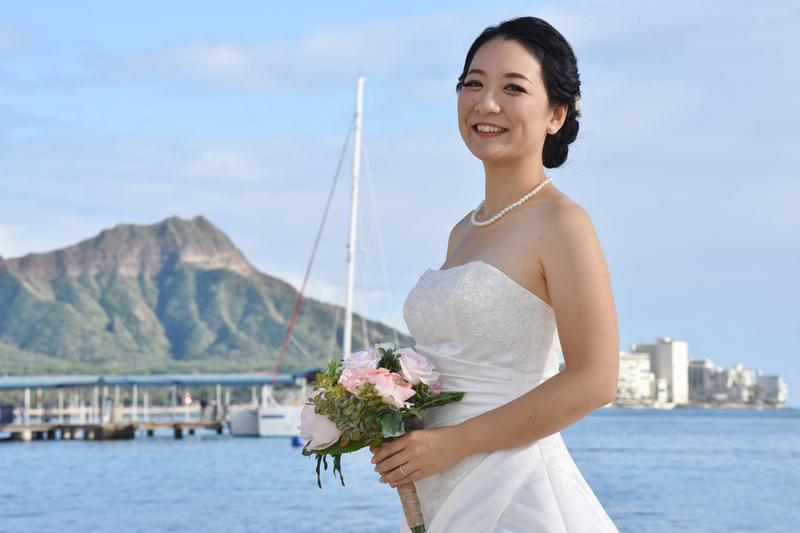 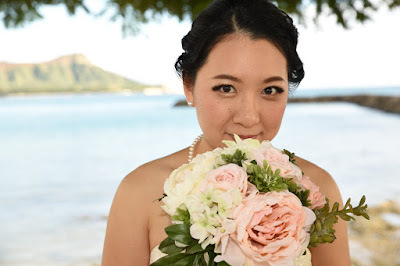 Beautiful Japanese Bride Noriko at Waikiki Beach. Nice pose! Great choice on bouquet style too.